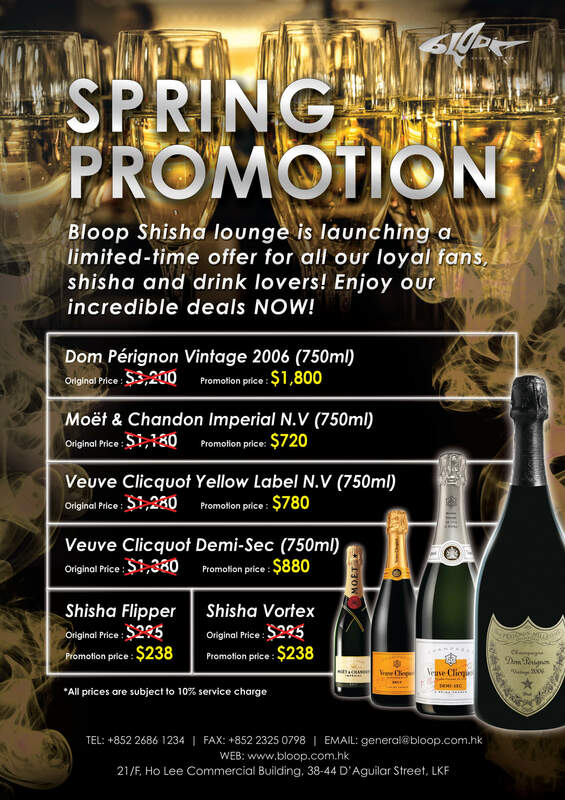 Ever since its opening in 2012, it's practically impossible to have a conversation about shisha in Hong Kong without mentioning Bloop Shisha Lounge. 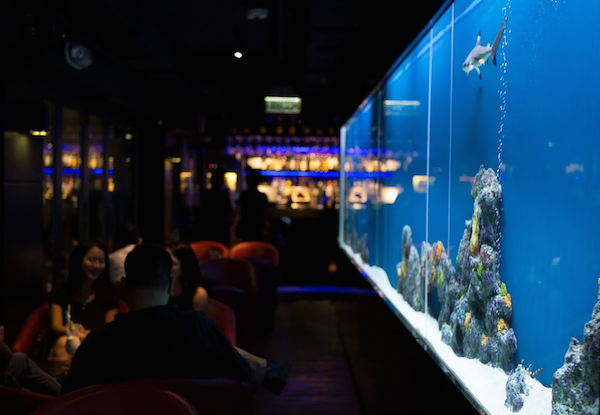 Aside from being the pioneer in setting the trend of quality shisha in the city, Bloop Shisha Lounge is also famed for its mesmerising baby shark tank and panoramic view on its balcony (in case you haven't been back recently, they just removed the scaffolding, so the view is back to its full glory). 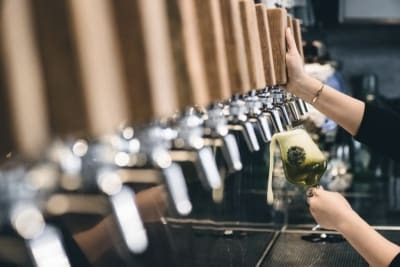 On top of their attractive happy hour offering 2-for-1 draught beers, house wine and spirits by the glass (5–9pm daily), they've also recently rolled out a new spring promotion with great deals on Dom Pérignon and Möet & Chandon. 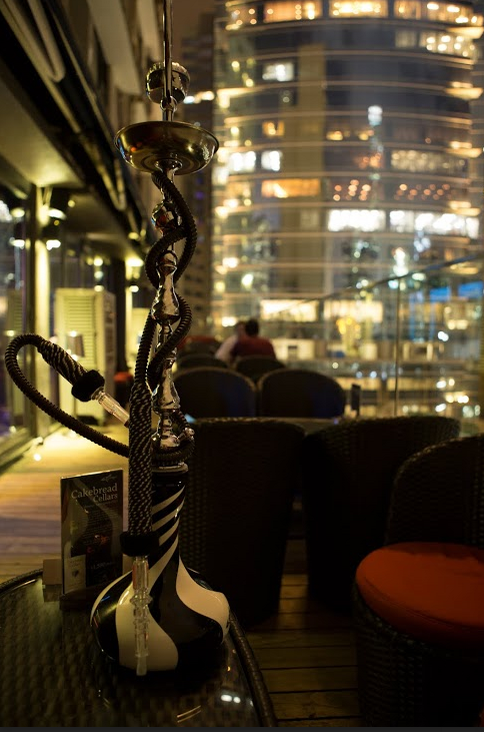 For the more greedy drinkers like us, we understand this is still hardly enough to quench your thirst, so we've partnered with Bloop Shisha Lounge to bring you 20 free Deep Purple cocktails. 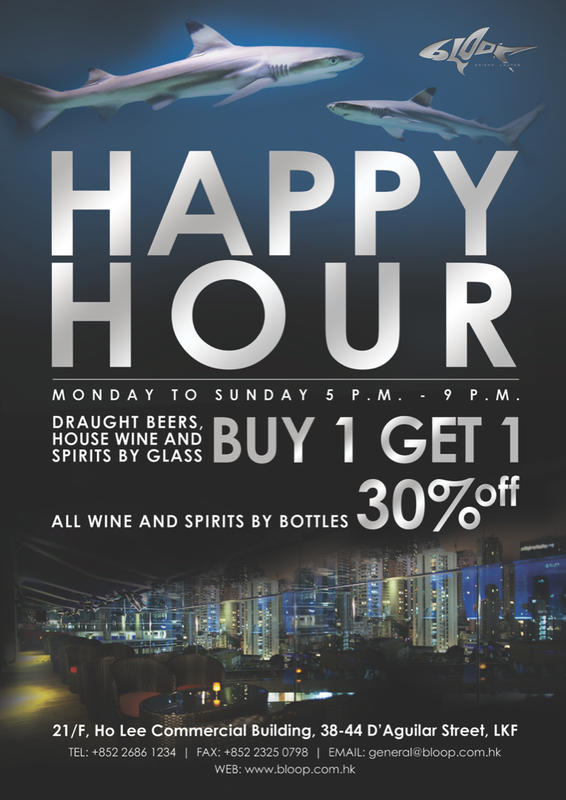 If you want to get your hands on these vouchers, simply go to Foodie's Facebook page on Thursday, 19 May at 12pm. The competition will only be live for a few hours and we'll hand out the prizes to the first 20 people.